Cryotherapy is the use of extremely cold temperatures, for a short period of time, to assist in the treatment of ailments and injuries. Our Cryotherapy Chamber is cold - at minus 190 Degrees Celsius. However, because you are only in the chamber for a few minutes, it is bearable and the benefits are substantial - and long-lasting after your treatment. Delayed Onset Muscle Soreness - the whole body Cryotherapy creates a vasoconstrictive effect, which reduces inflammation, by reducing the amount of blood being delivered to an affected area. After a few minutes, the blood vessels dilate to allow blood flow back in. This means that the tissues don’t swell and, therefore, don’t trigger the immune response of DOMs, Osteoarthritis, and/or Rheumatoid Arthritis. 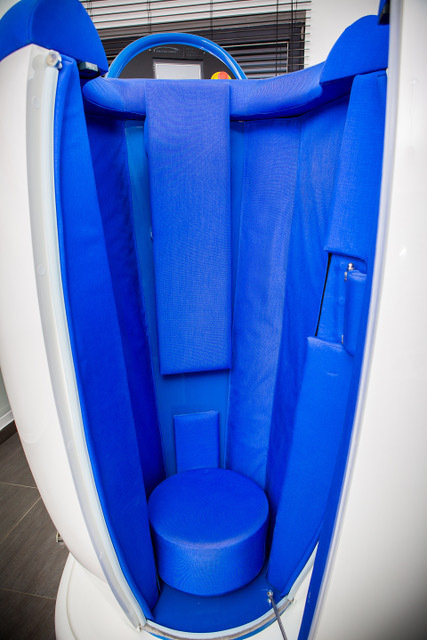 Depression, Anxiety and Insomnia - Cryotherapy assists these ailments by activating the Sympathetic Nervous System. The Sympathetic Nervous System prepares your body for physical and mental activity. It makes your heart beat faster and stronger, opens your airways so that you can breathe more easily, and inhibits digestion. It is responsible for the fight or flight mechanism of the body. Cryotherapy does this by deregulating the three glands (the hypothalamus, the pituitary gland, and the adrenal cortex). These three glands are associated with appetite, mood and emotions, sexuality, energy storage and expenditure, and retaining stress. The extreme cold of a Cryotherapy session turns on the Sympathetic Nervous System, and sends signals to these glands to send blood from your extremities to your core. This creates an influx of nutrients, which increases beta endorphin production (the ‘feel good’ hormone) and, in-turn, can alleviate the symptoms of depression and anxiety. Because of the increase of nutrients in the blood and the deregulating of the hypothalamus, the pituitary gland, and the adrenal cortex, Chronic Fatigue and Insomnia symptoms are significantly reduced.